Win EPT Main Event Package in minutes! 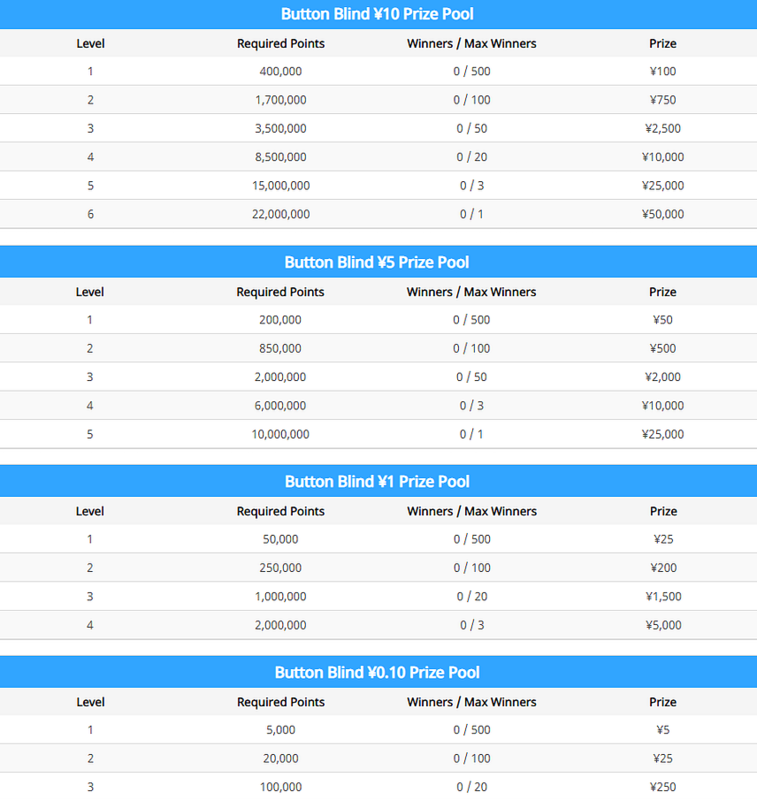 Play PokerStars special edition of Spin & Go tournaments and try out your luck! Just a few minutes is all it takes to win a package to PokerStars and Monte-Carlo©Casino EPT. You can do it through a special edition of Spin & GO tournaments. Hurry up! Promo period is on until the 14th of April. Please note: Prize winners will be responsible for making and paying for all travel arrangements. If you still don’t have an account at PokerStars, register with us and grab a Welcome Bonus! More about it you can find in our offer review. Great news for all casino lovers! There is a new promotion by MansionCasino – Table Thursdays! Win your Cashback every week! Your Card gameplay is about to get a whole lot better! It’s because MansionCasino will have your back with an up to $/£/€100 cashback safety net! Every Thursday, grab 20% cashback up to $/£/€100 on any of our thrilling Cards games! How does Table Thursdays promotion work? You simply need to deposit $/£/€20+ using a promo code THURSDAY to be eligible. The promo period is 00:01 – 23:59 (GMT) every Thursday. That means that you have a chance to win every week, not just once! Remember: Only House takings from real money funds on card games only during the promotion period will count towards the cashback credit. This promotion is not valid on Live games! Register with us to MansionCasino.com and join this great promotion! Also, there is a Welcome Bonus waiting for you! partypoker introduced Short Deck. This is a new format – a version of popular 6+ Hold’em. It is very popular these days, so check out how it will work on partypoker. partypoker introduced Short Deck – try it now! Short Deck is an increasingly popular variation of poker which uses just 36 cards. The game plays similarly to Texas Hold’em, however, the reduced deck opens up a whole new level of strategy! Otherwise known as “6+” or “Six Plus Hold’em”, Short Deck poker has become a particular favorite of the very highest rollers in poker. However, partypoker offers you the chance to experience the thrills of Short Deck without having to step up to the nosebleed stakes. With buy-ins from just $2, there’s plenty of 36-card action for players of all bankrolls! Aces play as high or low, but as there is no 2-5, A6789 is the low straight. TJQKA remains the high straight. Ah,6h,7h,8h,9h, would, therefore, be the low straight flush. Use Short Deck lobby to immediately seat at a table! After selecting a stake, our quick seat function allows you to be playing in seconds. There’s also the option of opening up multiple tables at once. Simply select how many tables you’d like open and click “play now”. Short Deck is similar to Texas Hold’em. Players get two hole cards, and there are four rounds of betting (pre-flop, flop, turn and river). You create the best combination on 5 cards from 7 cards total. However, the 36-card deck enables players to hit “good hands” more frequently compared to Hold’em. Short Deck therefore delivers high-action games, where you’ll often find yourself in hands against most of the table, with pots playing deeper and longer. Unlike other cash game formats, Short Deck permits players to remove chips from the table once they build up a big enough stack. Players can then continue to play at the same table. partypoker will be the only operator to make a removal of funds feature available, exclusively for our Short Deck cash games. Here, players will clearly see the minimum table balance that can be held by a player who wishes to remove money from the table. For example, a player buys into a $0.10 ante game for 100 x ante giving them a stack of $10. If the game is configured to allow players to reduce their balance if they have over 300 x the ante, if the player builds up a stack of $40 (400x ante), they are allowed to reduce their stack to 300 x ante, removing $10 from the Short Deck table. It is important to note that the reduction only takes place after the active hand is completed. If a player wins more, their balance is still reduced to 300x ante. If the player loses a hand, leaving them with less than 300x ante, their stack cannot be reduced further. Join partypoker now for this great action! Do it with us, and there is Welcome Package waiting for you! The 2nd MPN Poker Tour this year will take place in Prague! Rebuy Stars Savarin Casino will be the host of this event from 2 – 5 May. The buy-in for the Main Event is €550 and the GTD prize pool is €200.000. Qualify for MPN Poker Tour Prague through online satellites! *You can transfer the Side Event ticket to your +1 on this journey. Or, if you do not transfer it, and you can not play the Side Event because you are still playing the Main Event, you can cash out your ticket for €55. Register with us to one of the MPN skins and win your package with satellites starting with €1.10 buy-in. Chose one of the best skins: Betsson poker, Betsafe poker or NordicBet! There is another promotion running on PokerStars! With Spin of the Day, every day you log in and play a hand of real money poker from March 20 to April 3, you’ll receive a free spin of the Bonus Wheel. And every spin wins you a reward, guaranteed! Use your Game Ticket to spin the Bonus Wheel and receive a guaranteed reward! Register with us to PokerStars and grab a Welcome Bonus!